28337 Finish: Georgia Clay Product Available in Georgia Clay or Black Finish Features: -Wildlife design.-Available separately in: Stars and Moon and Western design.-Full diameter handle.-Large 23.5 diameter bowl. Options: -Available in Georgia Clay or Black finish. Specifications: -360 degree viewing of the fire. 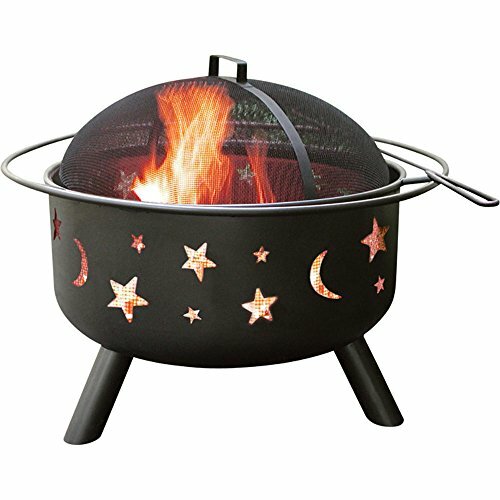 Dimensions: -Dimensions: 23'' H x 29.5'' W x 29.5'' D. Disclaimer: -Please Note: Item should be placed on a brick, stone or concrete surface to prevent fire hazards.